Jenny Cakes Cake Toppers: Teenage Mutant Ninja Turtles! Check out the 'totally awesome' cake made by one of my customers, a 'most excellent' job! 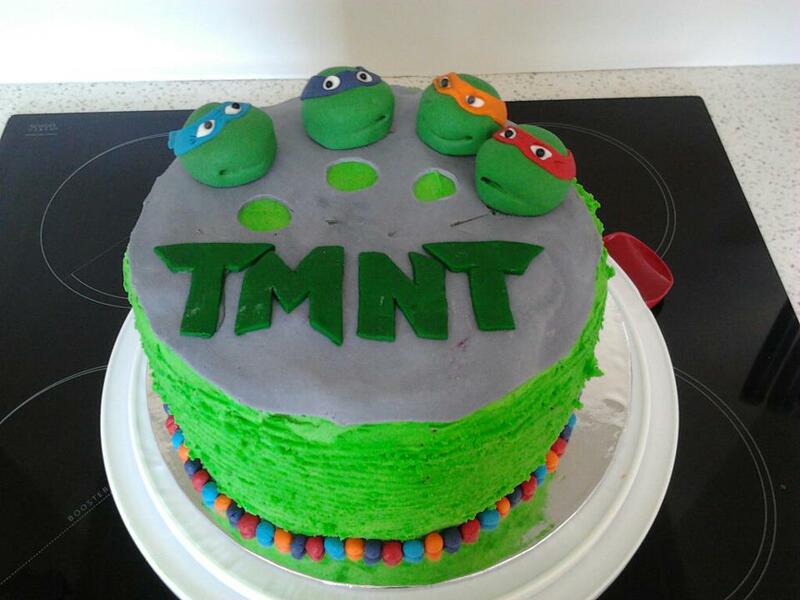 Cake baked and decorated by Ali, TMNT heads supplied by Jenny Cakes Cake Toppers, what a great result!